If you don’t know, but when it comes to the hot topic in Magerealm, those in the loop naturally know: Mount! Mounts of all looks and functions have created a new phenomenon. Where there is demand, there is supply. Merchants are looking for all manners of procuring and selling mounts. One merchant in particular is attracting most of the attention. 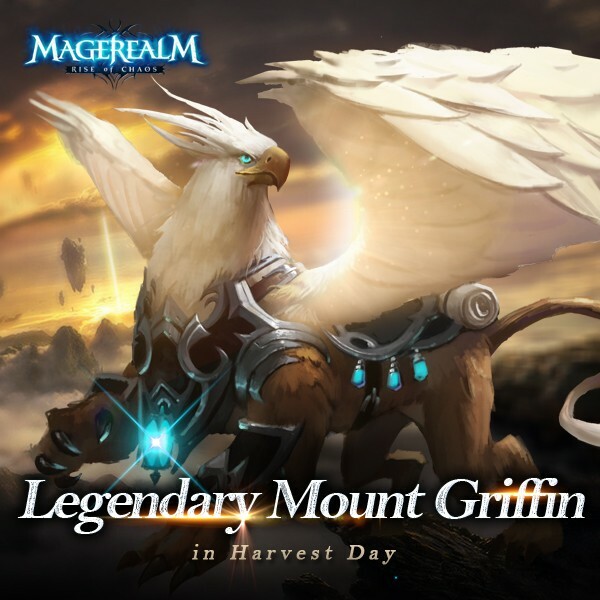 From the land uncharted, this merchant is offering legendary mounts- the noble Griffins. If one can somehow come into ownership of such a fine beast, the bragging rights is all theirs! However, Griffins are hard to train and maintain. Loyal to its owner, they are very hostile to strangers. They will sacrifice themselves to protect you and your teammates, so keep them fed! One last thing, Griffins like to feast on horses, so if you still favor horses as your mount, keep an eye on your stables.